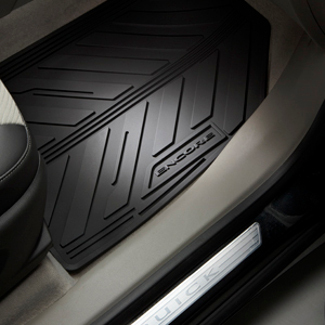 Description: Premium All-Weather Floor Mats fit the floor of Encore exactly. Their deep-ribbed pattern collects rain, mud, snow and other debris for easy cleaning. Nibs on the back help keep them in place. 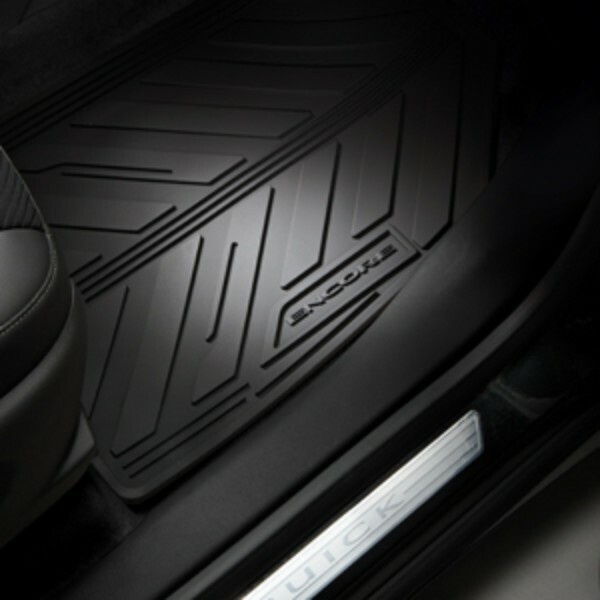 They are available in Titanium and feature the Encore logo on the front mats.. This product replaces 95048522.